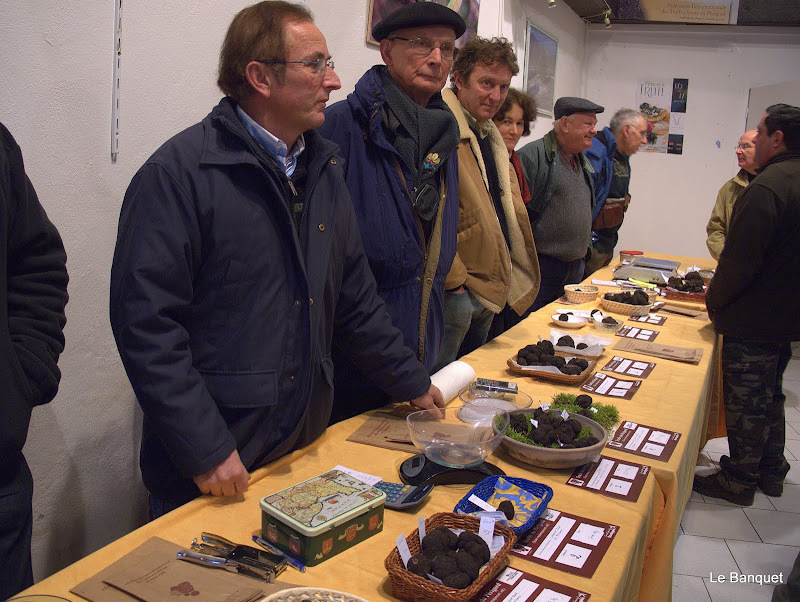 Is there any food in the world more surrounded in mystery and intrigue than the truffle? 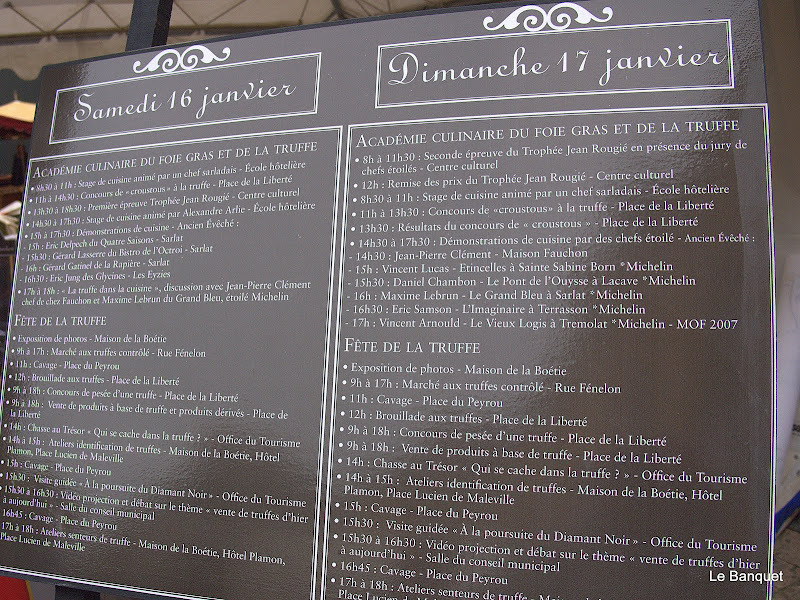 This weekend saw Sarlat host this region's annual celebration of La Truffe, the black 'diamond' of the Perigord. With thirty seven producteurs displaying sixty kilos of tuber melanosporum, the heady scent perfumed the entire market square and beyond with an aroma that's both indescribable and unique. 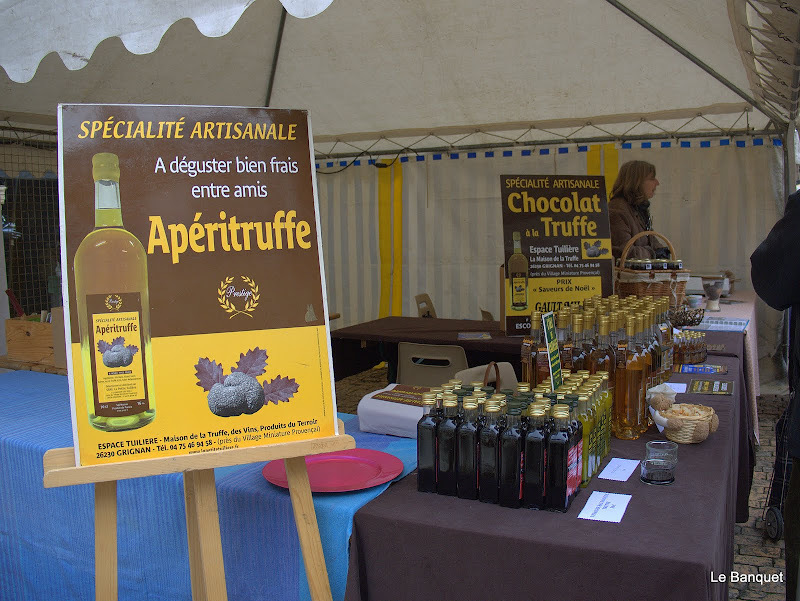 There was an enormous variety of truffle based products for sale. Truffle aperitif, truffled chocolate, truffle cheese, coffee served with a truffle and cream froth, the list went on. 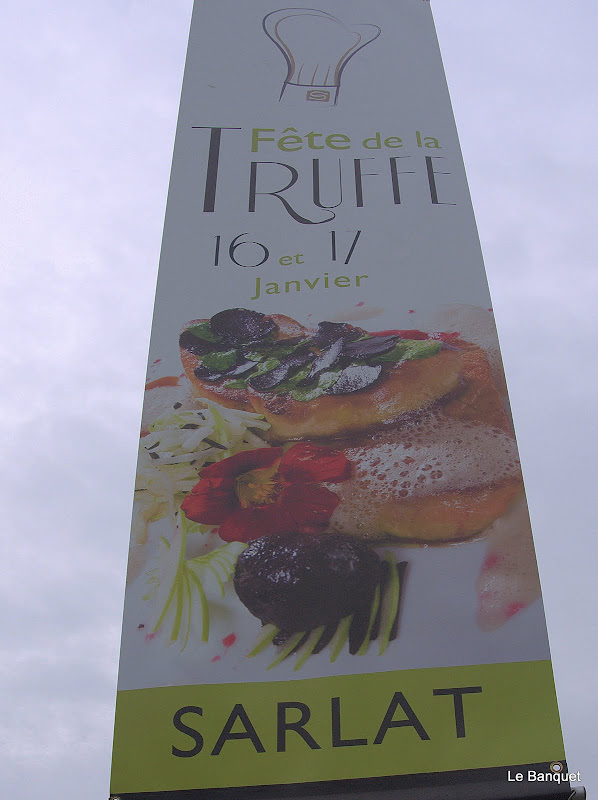 At the stroke of midday, a long line formed leading to a large tent where two chefs lovingly stirred the brouillard, an egg, butter and truffle mixture, gently churned over an enormous bain-marie achieving an almost fondant texture. At once luxurious yet rustic at the same time, it was carefully doled out into little plastic cups to be eaten with a teaspoon savouring every truffly note, such is la truffe's affinity for eggs. It's a curious thing this subterranean fungus. It lives in a mycorrhizal intimacy with just a handful of tree species, predominately oak though occasionally black pine or hazel. 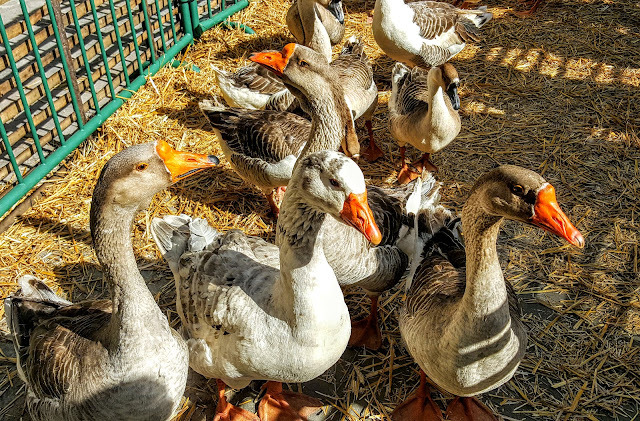 Although dogs and pigs are frequently used to find truffles, some of the more experienced hunters known as rabassiers will simply look for the little truffle flies which on warm winter days hover in small clouds above the tubers. You know, it's days like these that make one realise that this really is la France profonde. 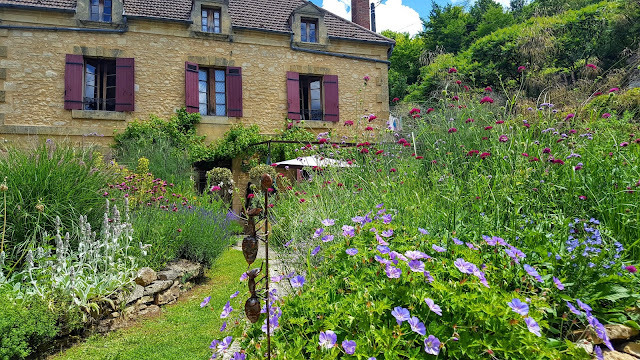 Deep France, embracing its rural culture away from the hegemony of Paris, rich in tradition, something very magical. The truffles are beautiful! 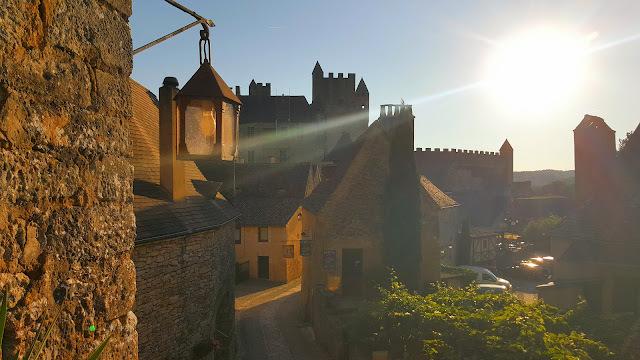 and Sarlat so charming. There is nothing quite as distinct as the flavor of a truffle. I have one in a tiny jar that a friend brought to me from Italy, but I don't think I'll ever use it for I love looking at it. However, my oils do offer that tasty element to cooking. Lucky you! Now that is something I would like to taste. I've watched on tv how the dogs go searching for those elusive truffles. Oh my! Now, this is a reason to visit France in winter! That really is amazing, great shots. 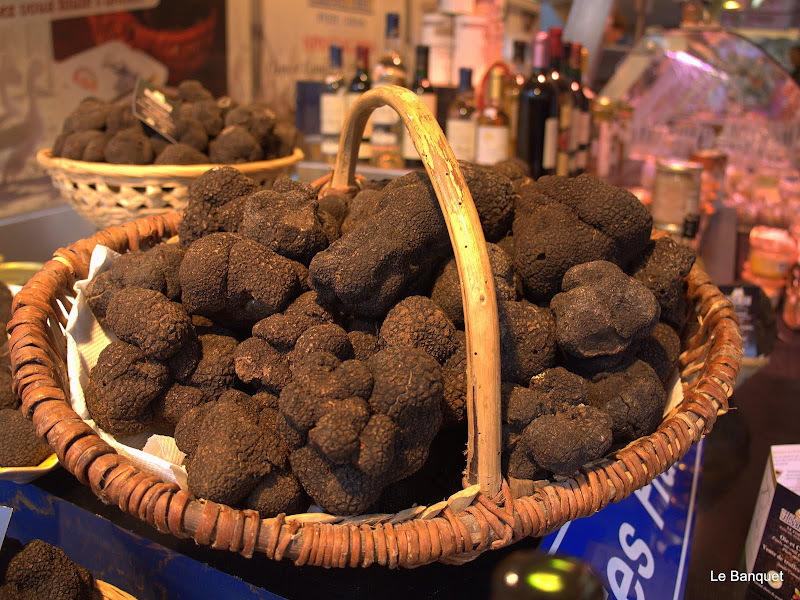 I've only tasted truffles once and that was when I was living with a French family for the summer many, many years ago .....but I still remember that glorious flavour! Your photos were great Rob - even if I'd not known they were French, they could only have been French ...if you see what I mean?! I think I prefer the winter Sarlat! I don't think I've ever had a truffle before, they sound interesting but I've never taken the opportunity. Someday I'll taste a truffle. Sounds like a very enjoyable festival! and something very rare. I think another trip to France is in order, but those plane tickets are going up fast these days. Wonderful shots of the Trufflemen in action. I just adore your blog! Truffles - Truffles every where! I can't wait to return to Europe. YOu do a great job of sharing their love for Green! 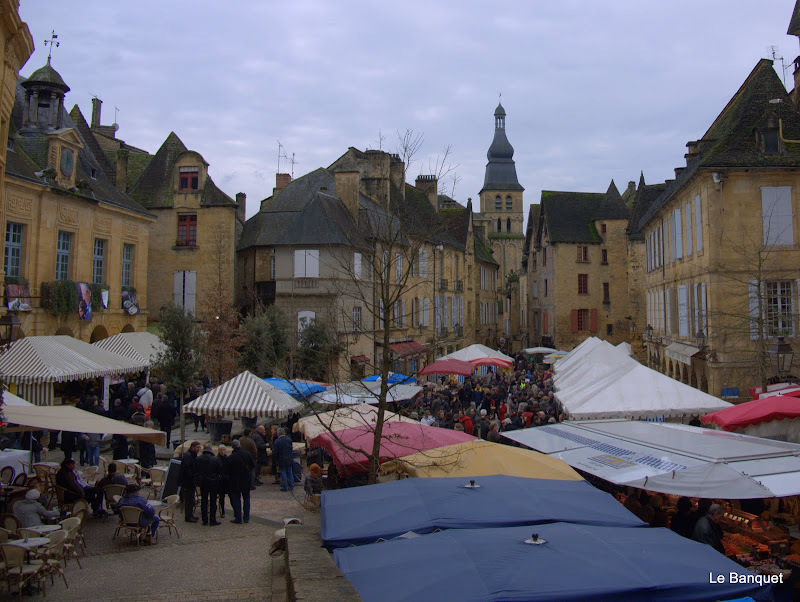 Sarlat looks a lovely place and wonderful photographs Rob thanks for taking us to the fete. I have never had truffles but think I might prefer the chocolate variety. This was such an interesting post to me. I've never tried truffles, but would love to. Thanks for sharing! PS I saw your seed list in your previous post, can't wait to see them all in bloom! My culinary education is incomplete Rob as I have to confess too that I have never tasted a truffle. Will have to remedy that situation one of these days. Everybody looks as if they are enjoying themselves. Count me in, Rob! If once there, might never leave! magnificent treasures celebrated at fairs! A true delicacy!Truffle chocolate sounds yummy! Superbe blog. Superbe photos. Bonne continuations. I enjoyed this very much. Mercy--I have never seen so many in one place. I have contacted that man who lives in NC. It takes 5 years for those inoculated trees to maybe perhaps produce a truffle. Lots of risk but there are those in NC doing it. Safely guided secret as to where they are! Cause they go for gold here. But true..our NC soil is much like yours. 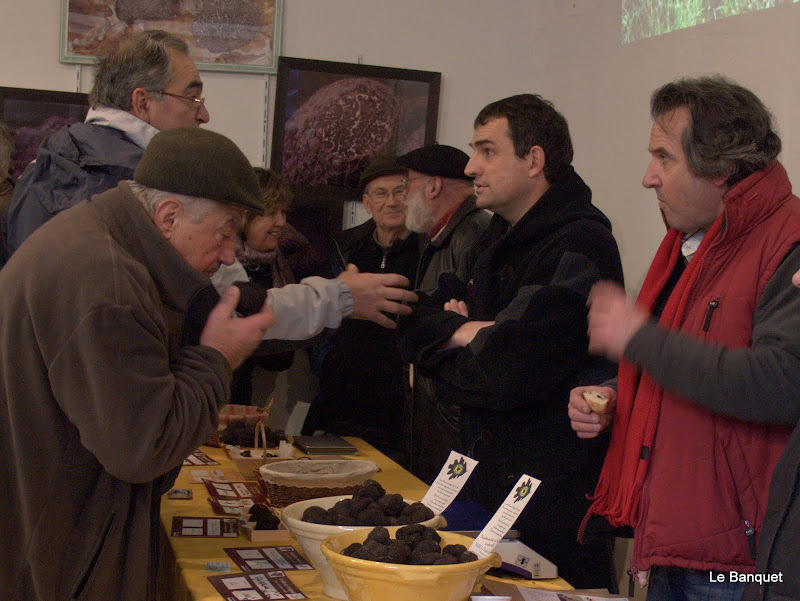 Oh yes, I agree with you, it is really something very magical this tribute to the very delicious Trufa!!! I love life in little towns, away from the big cities!!! truffles fron tennesee to inoculate the soil. the chefs sem to be buying, because they can get then fresh dug, overnight. he has been very sucessful, after a 7-year wait. they cost the moon!